Speaking of mobile websites, their advantages are quite obvious: Mobile Website runs on all mobile devices because it’s based on web technologies and does not depend on the OS of a mobile device. At the same time, a mobile website wouldn't have access to all device features and has to work within the limited capabilities. In this post I will be talking about mobile applications and briefly discuss about the available APIs for development as well as their pros and cons. Xcode is the official toolset provided by Apple for any Mac and iOS development. Google recommends using Eclipse for development on Android [see this]. iOS development requires familiarity with Objective C [see this]. Although, its syntax is quite different from other traditional programming languages like Java and C++, it is not very difficult to get on with. Android development is based on Java and comparatively easier for programmers with previous experience with Java. 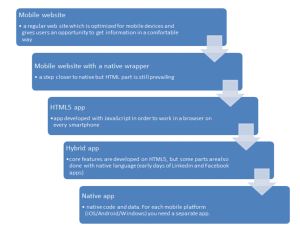 The native applications allow the full use of the device capabilities which might be missing in other third party APIs. It is easier to get good performance for the application when programming using native SDKs. Requires learning different languages for development on different platforms. The code base developed for one platform cannot be easily adapted for another platform. Allows the development for several platforms at once, e.g. Android, iOS, Windows etc. The applications are web applications inside a Web-View. 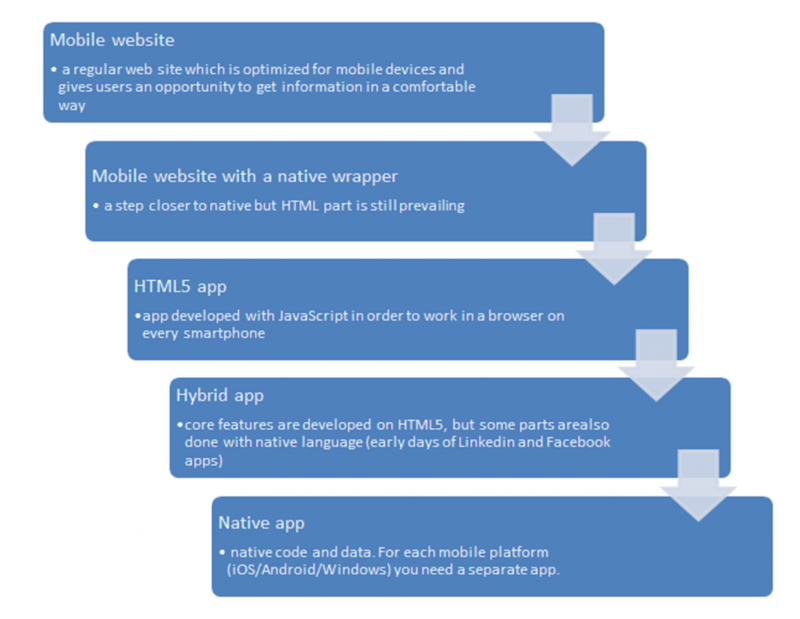 Browser performance doesn't come close to native application component performance. Not all device APIs would be available for the applications. Titanium provides good performance (by using the native components) whilst having a simple and powerful API that gives access to most interface elements either iOS and Android has. The performance still lacks behind what you can obtain using native SDKs. These are not comprehensive set of points and as I pointed out, each application needs a detailed study about the features that it will have and the capabilities of the framework. It depends on a lot of factors: your goal, your business, your budget, your audience. This list could go on and on. Don't rush into the decision. Its difficult and costly to switch the framework after you begin developing.